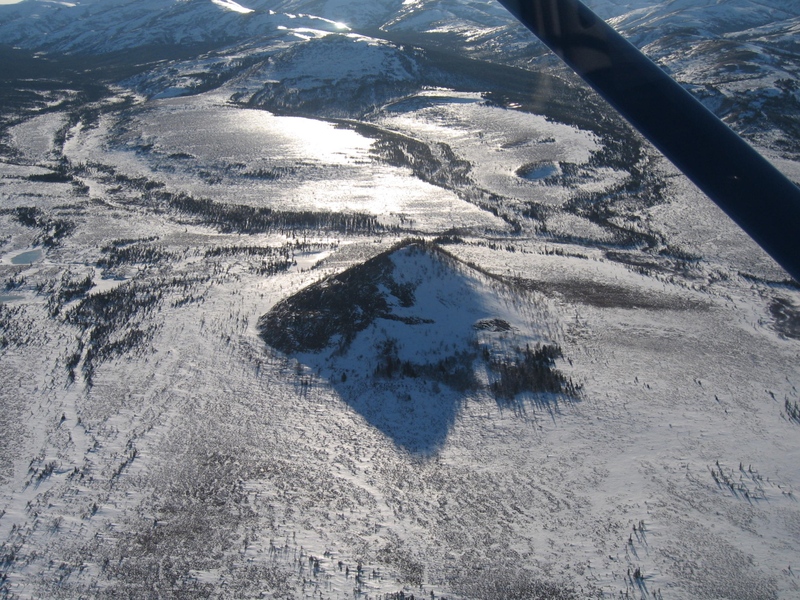 Checkpoint and Trivia Tuesday: Kaltag to Unalakleet – What does Unalakleet mean? Last week we followed musher Cindy Abbott to Kaltag. This week our journey will take us about 82 miles to Unalakleet. Depending on if mushers decide to camp along the trail, this leg of the journey could take them 10-15 hours, and depending on the weather could even take up to 20 hours. Weather conditions along this section of the trail can be quite treacherous; storms can brew up along the coast and the wind can be fierce. Thankfully, there are two comfortable cabins available to mushers. Tripod Flats cabin is about 15 miles away from Kaltag and the Old Woman cabin is 15 miles farther down the trail. According to legend, anyone that stays in the Old Woman cabin must leave food for the old woman or she will bring you bad luck for the rest of the trail. The section of the trail past the Old Woman cabin is known for gusty winds, drifts, and sudden snowstorms. The turbulent winds and storms can make it difficult for mushers to find their way to town. The last few miles to town will be on glare ice with the wind blasting mushers in the face, but they are almost to the next checkpoint. As we arrive in Unalakleet we meet up with Terrie Hanke, 2006 Iditarod Teacher on the Trail™ and writer for Eye on the Trail, an Iditarod blog. Unalakleet means “where the east wind blows,” and it is true to its name. This is the only place Terrie has been where the wind was blowing so hard she could not walk into it, and she has been to many villages along the trail. She remembers being told the wind was blowing 40 mph with gusts as high as 60 mph. Unalakleet is the first village on the Bering Sea, and although this village is notorious for its perilous winds, the sunset here is breathtaking. Terrie likes to stand outside Peace on Earth Pizza, look west and visualize that just 200 miles out there somewhere is Nome. A village that is named for its boisterous winds has found a positive way to benefit the dangerous winds. A few years ago the village installed six wind chargers on top of a hill just outside of Unalakleet. The chargers will save the village approximately $80,000 a year in diesel fuel costs to produce electricity. Unalakleet has three major points of operation as a checkpoint. Logistics and dog drop are located at the airport. Logistics coordinates flights for volunteers, supplies, and dogs. Dog drop is where the dropped dogs from the smaller, close by checkpoints are collected. Eventually, larger planes will come pick up the dogs and transport them to Nome. 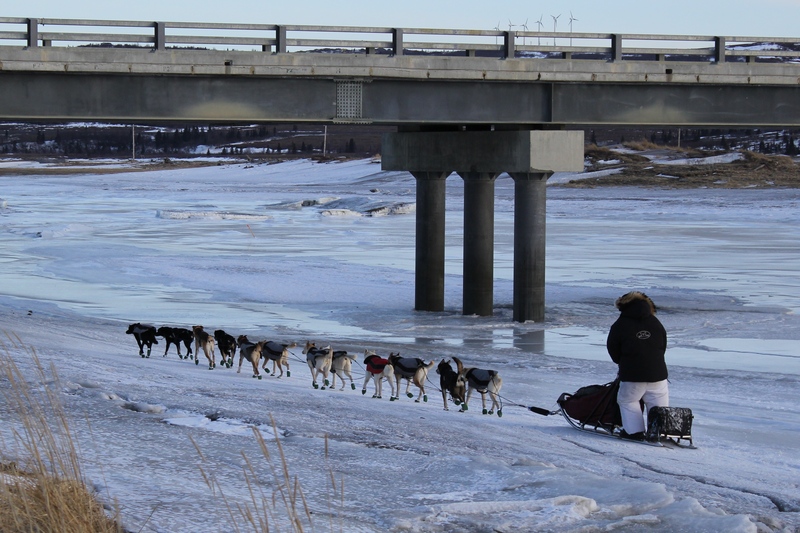 The dropped dogs are taken care of extremely well while in the hands of Iditarod volunteers. The checkpoint is located in the community building behind the post office. The community building is a lively place as the race comes through the village. Comms, vets, volunteers, mushers, and community members cram into the community building. Middy Johnson, former mayor, cooks sourdough pancakes all day and night. Community members bring in plenty of food as well. Food is never in shortage for the volunteers and mushers in Unalakleet. In addition to tasty food, there are beds available for mushers to use to catch a few minutes of rest. The third location of the village is the UNK Bunk. The Bunk is located at the Covenant Church Camp building and also has a Quonset hut gymnasium. Volunteers use the spacious gym to sleep. Upstairs is a common room where the volunteers and pilots can hang out and find some food to eat. With a population of approximately 700, Unalakleet is the largest village between Anchorage and Nome. The village has two grocery stores, The Alaska Commercial Store and The Garage. Earlier this year I posted a Trivia Tuesday informing you that Matthew Failor received a pizza from an avid fan when he arrives in Unalakleet. Peace on Earth Pizza is the restaurant this delicious pizza is delivered from. The village also has a state of the art medical facility. The school is part of the Bering Strait School District and educates approximately 180 students in grades PreK-12. As the Iditarod comes through Unalakleet each year the village comes together and hosts a few social events. Terrie shared a couple of her favorites with me. One event is a local ski race organized by ski coach, Nancy Persons. Nancy organizes a ski school for all the children of the village. The ski race typically falls on the Monday the Iditarod is coming through the village. All the children that have been taking ski lessons participate in the race as well as members of the ski/biathlon team. The race showcases many levels of skills, from those who just barely get around on the skis to those on the teams that have mastered the skills. The race involves the whole community, as members come out and cheer the youngsters on. Another event Terrie enjoys is the Covenant Church Iditarod Pie Social. Many members of the community bake pies for the church fundraiser. Terrie finds it difficult to choose out of the many pies, so her advice is to skip dinner and go with two pieces of pie. Her favorite all-time piece she has had is spicy raisin pecan. It’s a good thing there is a pie social in Unalakleet since the race will not be going through Takotna this year. Takotna is the checkpoint I mentioned earlier this year as to having some of the best pies around. As you can see, the Iditarod brings this village together annually. When mushers leave Unalakleet they will stay on the coast and head to Shaktoolik. We are getting closer. 221 miles to Nome! Next stop Shaktoolik, 40 miles. 1. What does Unalakleet mean? 2. Take a look and study the cover picture. 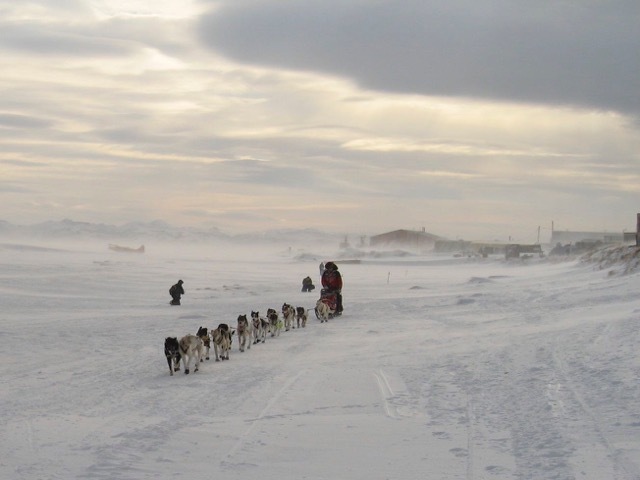 Write a detailed description from the musher’s point of view. 3, Just for fun: What would your kind of pie to eat at the Iditarod Pie Social? 4. Locate a recipe for Sourdough Pancakes. What ingredients would Middy need to make the pancakes? ← Hello from warm, sunny, 42 degrees Alaska!